German Final GDP has supporter EUR against USD. Trades will be focused on Federal Reserve Chair, Powell’s speech. The support rests at 1.15250 with resistance at 1.15940 which both lines are above the weekly pivot point at 1.13950. The EMA of 10 is moving with bearish bias in the ascendant channel and it is above the EMA of 100 and below the EMA of 200. The RSI is falling towards 50 level, the Stochastic is showing upward momentum and the MACD line is below the signal line in the negative territory. The ADX is not showing any clear signals. 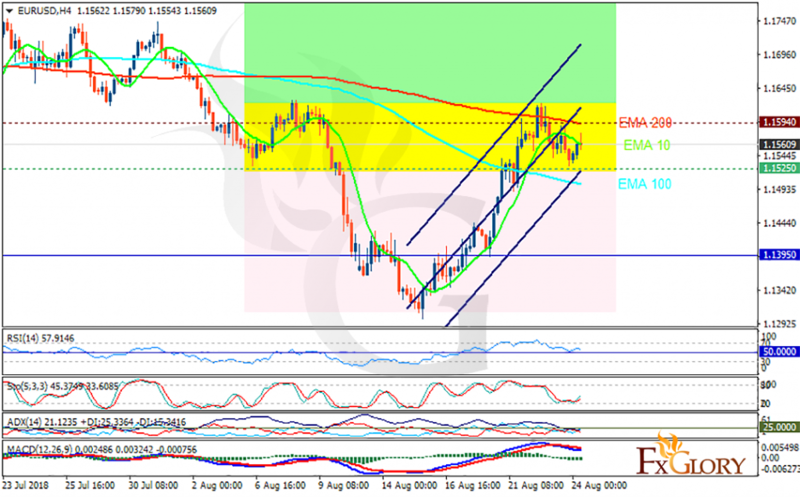 The support level breakthrough can send the market to 1.14, otherwise, EURUSD will continue its bullish trend.